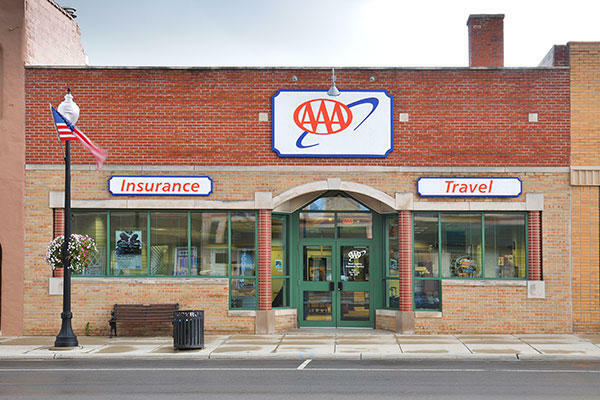 Visit your AAA at Bucyrus, OH, at 314 S Sandusky Ave for car repair and maintenance. The Bucyrus store is located on the east side of South Sandusky Avenue, between Charles and Warren Streets, across from Wendy's. The store is closed for lunch from 11:00 am to 12:00 pm. The team at AAA Bucyrus - the Bratwurst Capital of America - brings you total satisfaction and exceptional value on AAA Travel Agency products and services, including travel planning, cruises, and tours. Shop the luggage store for name brand luggage with exclusive member discounts. Visit the AAA Insurance Agency for the protection you need at a price you can afford for auto, home, and other policies.